Crea template drag and drop per Joomla direttamente dal tuo sito. 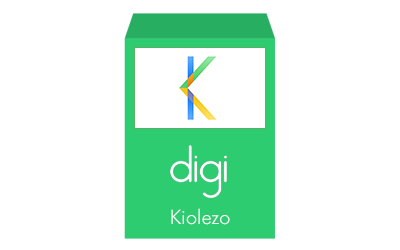 Kiolezo, Joomla template builder drag and drop. Crea il template del tuo sito web direttamente da Joomla! semplicemente trascinando righe, colonne, posizioni modulo, immagini e moltissimi altri elementi. È diverso dagli altri perché non è un page builder, Kiolezo è un template builder, quindi puoi creare tutte le parti del tuo template semplicemente tramite drag and drop. Tutti i template creati possono essere utilizzati direttamente tramite Kiolezo, mediante il template appositamente creato ed installato insieme al componente, in modo da rimanere editabili tramite drag and drop, oppure possono essere esportati in formato zip ed installati su qualsiasi sito basato su Joomla! (minima versione richiesta 3.6.5). Importa layout già pronti dalla galleria, scegli tra molti layout ed importali nel tuo sito web con solo un click. Dai uno sguardo alla nostra galleria tramite il pulsante sotto. Non acquistare più i template, crea da solo il tuo template personalizzato! Se vuoi provare Kiolezo gratuitamente, scarica adesso la versione lite per vedere come funziona prima di acquistarlo. Per installare il componente, la versione di Joomla! deve essere almeno la 3.6.5. Hosting Linux. Kiolezo non è compatibile con hosting Windows. Per l'esportazione dei template è necessario che il server disponga della classe PHP "ZipArchive". In caso contrario il componente funzionerà, ma non sarà possibile esportare template. Il template vuoto di Kiolezo deve essere installato per mostrare i layout nel frontend. Normalmente questo template viene automaticamente installato o aggiornato durante il processo di installazione. La combinazione di tasti CTRL + S permette di salvare il layout corrente. La combinazione di tasti CTRL + E permette di salvare e chiudere il layout corrente. La combinazione di tasti CTRL + Z permette di annullare l'ultima operazione. La combinazione di tasti CTRL + Y permette di ripetere l'ultima operazione precedentemente annullata. La combinazione di tasti CTRL + B permette di aprire o chiudere la sidebar. Il tasto ENTER permette di salvare le impostazioni all'interno di un popup. Is this component compatible with all Joomla! versions? No, this component requires at least Joomla! 3.6.5. Can I use templated made by Kiolezo on another Joomla based website? Of course yes! You can export your templates as zip archive, and install wherever you want. Is it hard to configure the component and the template? No, is not hard. Is very easy, just install it on your Joomla!, then import or build a layout. After go to tempalte styles and select Kiolezo template as default if you want to display your drag and drop layout on the front end. Which kind of templates Kiolezo can export? You can export layouts (editable by Kiolezo, and importable in another website which use Kiolezo), or you can export a normal fully-functional Joomla! template. The answer is so simple, unlimited! You can create how many templates and layouts you want, from the simplest to the most complex one. Great extention. Functionality: Works brilliant! Ease of use: It's very easy to create templates with Kiolezo. It took me some time to work out the layout, but it's working well now. Support: Great support, very quick response time. The team really wants to help you solve your issues with the program if you have questions. Documentation: This is a new extention so the documentation is now limited. This will improve in the future but with the great support it's not a problem. Value for money: It does what it says! I used this to: Creating templates. Very good tool for Designer. Functionality: I had no Problem to build a first template, so I can create templates I like without much programming skills. Ease of use: Very easy to use. Support: I had a problem with an editor in frontend. The Support fixed it very fast! Documentation: I didn't read a documentation. Value for money: good value for money. Finally I can create and arrange templates by drag and drop. Functionality: It functions very well, I've understood in few steps how to manage module positions, rows, columns and how to build my first template. Ease of use: It's easy, few-minutes leaning is sufficient, no special skills required. A little bit more for drag and drop style creator but nothing hard. Support: I don't need for now. The component is working and I haven't questions. Documentation:The documentation is available on the website, all ok! Value for money: Good quality/price ratio, less than a normal template, and it allows to build templates easily. I used this to: I use this to arrange my Joomla template parts on my website in few steps, change module positions easily, change sometimes layout in two clicks. Thanks very good and useful extension. Functionality: Just downloaded and tested 1.0.3 version, a lot of bugs solved. Very nice template builder, I'm able with few clicks to build templates. Ease of use: Very easy to understand and to use. No special knowledge required. Support: I ask a question via ticket, all ok, fast answer received. Then I've seen there is a forum on developer website, good to know and to use. Documentation: There is an available wiki on developer website. Value for money: The component doesn't cost a lot, it's working so happy to have bought it. I used this to: I build the template for my website and for my blog with it. A-W-E-S-O-M-E-!!! Functionality: The description of this extension does not give the idea of the power held on it. Few steps and I was ready to build a template myself. Ease of use: It's easy. Just few attempts and you can easy learn how to use it. Then the drag and drop interface is well designed and easy to use. Support: Support is fast, the developer answer to my ticket in about 30 minutes. Then there is a free forum. Documentation: Documentation is not still finish on the developer website, but he answer to my ticket in about 30 minutes, so I should assign max score. Value for money: Let say it costs less than one template and allows me to build all templates I want very easily. For me the price is correct. I used this to: I have a web agency, I use this component to build templates for my customers very fastly, then to change or add module positions in two clicks. Also exported templates are bootstrap-based, so is very easy to use them on mobile too. I'm happy, thanks this indie developer.